Children with cerebral palsy have damage to that part of their brains that enables them to move and hold positions. This means that from when they are born, or when they have an illness such as meningitis or cerebral malaria early in life, they lack the ability to learn to hold themselves steady and move in purposeful ways. If they have physiotherapy or occupational therapy from very early in their lives they can be helped to hold themselves upright and move purposefully but if they do not they can become stiff and immobile and it is difficult for them to lead independent, satisfying lives. It is also crucially important that at home the children can be placed and supported in sitting and standing positions before they are able to hold themselves in these positions. When they are upright they can see what is going on around them and they also learn to take weight on their limbs. Special chairs and standing frames need to be available at affordable prices that families can use for the children at home. Besides the movement disorders children with cerebral palsy can also have other problems. These may include epilepsy, learning difficulties, impairment of hearing or vision and difficulty in learning to speak even when they have normal intelligence. But it is also important to remember that many children with cerebral palsy have no learning difficulties and might even have exceptional intelligence. Eating and drinking can be a big problem for many children with cerebral palsy because of difficulties with coordinating the muscles that are needed for safe chewing and swallowing. Without specialist help many mothers struggle to feed their babies and this adds greatly to the stress of caring for such children. 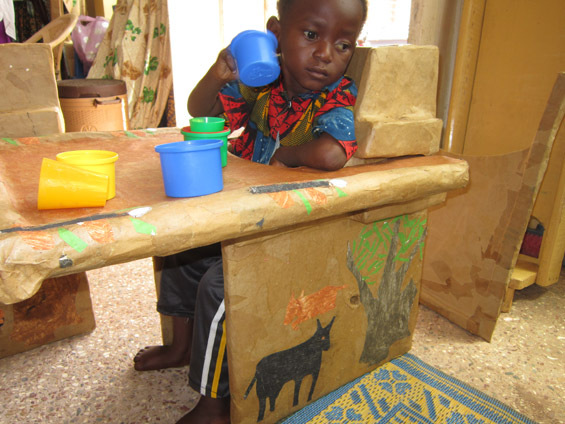 In African countries, if there are no services offering therapy for children with cerebral palsy, their families may feel there is no hope for their children. This makes them feel ashamed that their children cannot move around normally and they may keep them indoors where they have little chance of learning to sit up and move around. This puts them in great danger of developing the secondary problem of shortened muscles and deformed bones and then it will be even more difficult to help them. Their families will have to devote a good deal of their time to taking care for them. 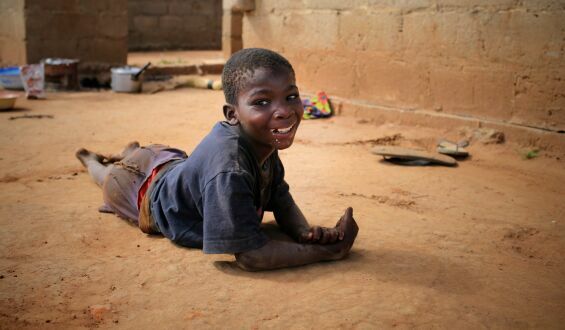 In Africa, there are many children with cerebral palsy. The numbers are not known for certain but the WHO estimates that it is likely that one child in every 300 will have it. This is because maternity services are often quite poor and mothers do not get enough care before and during the birth of the baby. The damage can happen for many reasons for example caused if the baby cannot breathe quickly after being born or if the blood supply to the baby before birth is insufficient. 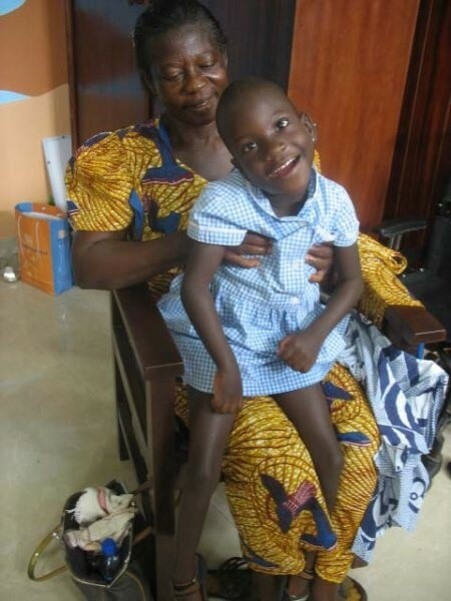 Cerebral palsy can also be caused by the baby getting meningitis or cerebral malaria soon after birth and these diseases are very common in most African countries. If children with cerebral palsy are to develop their potential and avoid secondary problems, it is important that they are able to sit or stand without needing to use their hands. Specially designed furniture can provide the right support but the cost of such furniture, if conventionally manufactured, is beyond many families.